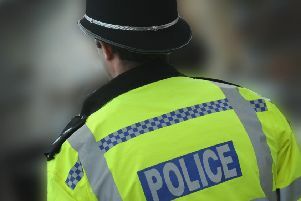 A 20-year-old smeared his own excrement in a police cell after hitting a woman and headbutting a police officer. John Smith, from Fernlands Close, Chertsey, Surrey, pleaded guilty to three counts of assault and one of criminal damage at Worthing Magistrates' Court yesterday. The court heard how Smith punched a woman in the back of the head and spat in her face in a caravan he lived in at Scotts Farm in Cakeham Road, West Wittering on June 8. The police were called, and when PC Ben Poulter tried to arrest him, Smith headbutted him in the face, loosening his front teeth and injuring his nose and jaw. In an audio file from PC Poulter's body camera that was played in court, Smith could be heard raving incoherently in a thick Irish accent before screaming in the officer's face and launching the attack. He was then escorted to the police custody centre in Kingsham Road, Chichester, where he spread faeces over the walls of his cell and poured water into the intercom system, causing £300 of damage. His solicitor Stephanie Panchkowry said her client accused the police of 'beating him up' and trying to put him in a straitjacket. His legs were restrained due to his behaviour. She said: "Clearly he had a difficult time in the cell - not excusing his behaviour, because it isn't acceptable and he does understand that. He does feel a great deal of remorse for the actions he took." Despite having been told not to contact the woman, prosecutor Jodie Cudworth said Smith had called her as recently as this morning, and that in a recording of one conversation, Smith said 'you need a beating' and added: "I could beat the dirt and smell out of you". In a victim impact statement, the woman said: "I feel bullied by John. Each time the assaults happen, pieces of me are gone." Moments before his trial was due to begin, Smith changed his plea to guilty for the assaults on the woman. He had previously pleaded guilty to the other charges. Chairman of the bench of magistrates, John Mansfield, adjourned the case until October 30, when Smith will be sentenced at Worthing Magistrates' Court.